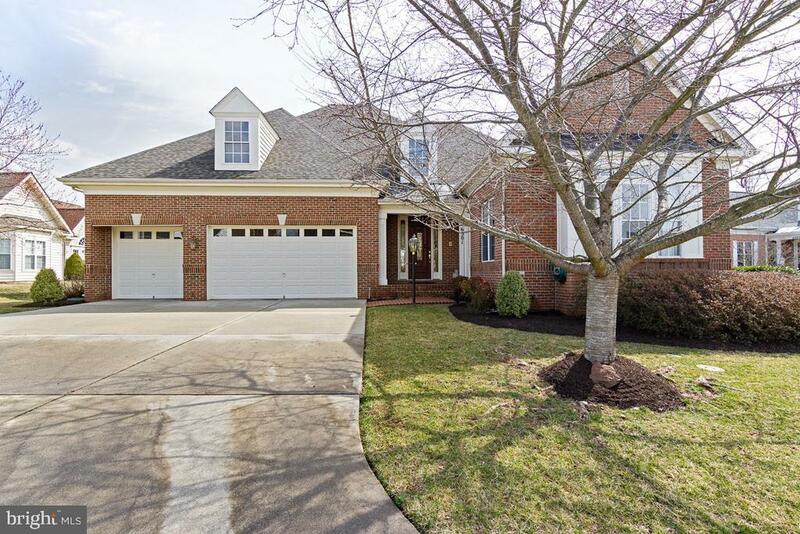 Welcome to a stunning and spacious home in Northern Virginias Premier over 55 community - Heritage Hunt. This home has plenty of space for entertaining with a formal living room and dining room as well as a gourmet kitchen with eat-in area and attached family room. The lovely master suite is located on the main level of this home so you truly can have one level living. There are also two other bedrooms, a full and a half bath, and a sunroom/office all located on the main level as well. Upstairs, you will find a rec room as well as two spacious bedrooms and a full bath. This home has a large, unfinished walk-up basement which can be used for storage or finished off if you desire more living space. Outside, you can relax and enjoy the peace and quiet on your large deck- also a perfect spot for a cookout. This home is located on a quiet pipe stem and the rear deck looks out on open green space. If youre looking for a wonderful home in an amazing gated, active-adult neighborhood with community center, fitness center, pool, tennis courts, walking paths and the availability to join a golf course, this is the place for you! Directions: I66 to Rt 29. Rt 29 to Heathcoate Blvd. Heathcoate Blvd to right on Heritage Hunt Drive. Heritage Hunt Dr to Right on Brightview Way. First right onto Pasture View Place. House is first on left in the pipestem. No sign on property.